Melissa McCarthy hits all the right notes in this hilarious espionage comedy as Susan Cooper, a middle-aged backroom CIA analyst, who is in reality the agency’s invisible hero who ensures the success of every missions. 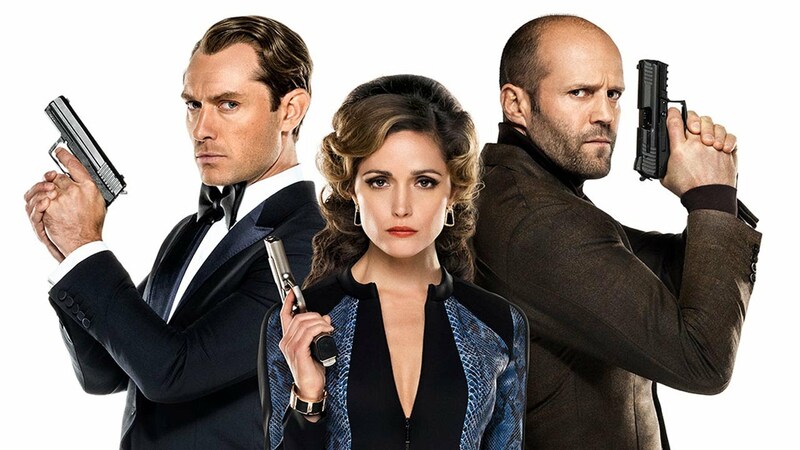 However, when one of her colleagues, the James Bond-like Bradley Fine (Jude Law) is killed by lethal enemy agent Rayna Boyanov (Rose Byrne), she decides to go out into the field undercover to avenge his death. At the same time she must infiltrate the HQ of a dangerous arms dealer who is threatening global apocalypse. Director and writer Paul Feig (Bridesmaids, 2011; The Heat, 2013) collaborates for the third time with Melissa McCarthy in this often uproariously funny spy comedy which pokes fun at the genre and cold war stereotypes of the world of international spies. Apart from Melissa it’s good to see other strong female parts featured with the estimable Allison Janney as the CIA boss and Rose Byrne as a deadly enemy agent. Jude Law is his suave best as super-secret agent Bradley Fine – a satirical Bond figure beloved by Susan Cooper. Other strong ensemble work is delivered by Miranda Hart, 50 Cent, and Peter Serafinowicz, with Bobby Cannavale as a funny, mafia type villain, Sergio De Luca, with some good one-liners. Overall, a pleasant, undemanding comedy with high speed action fun set in Paris, Rome, Budapest and other glamorous locations.